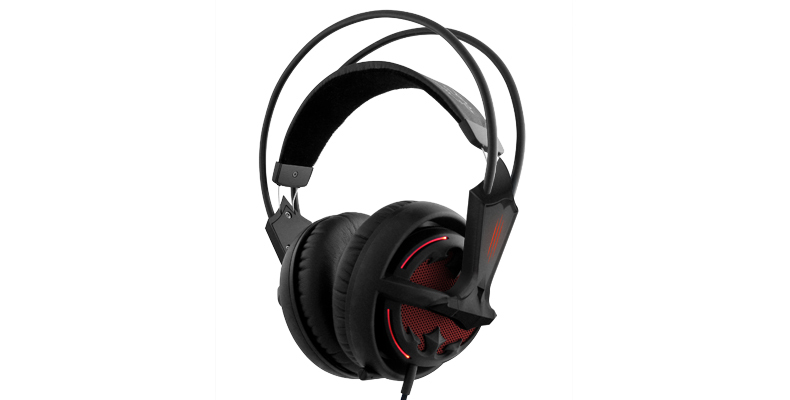 The SteelSeries Diablo III Headphones are, to date, the most comfortable and best sounding headphones I have ever used under $200. SteelSeries packaging is always a treat for me to crack open. Slick, licensed artwork and product shots adorn the outer box and a flap opens to show the headset through a viewing window. The headset is held in a bright red molded plastic insert, fitting with the red and black theme. This headset exemplifies the commitment SteelSeries has to build quality. 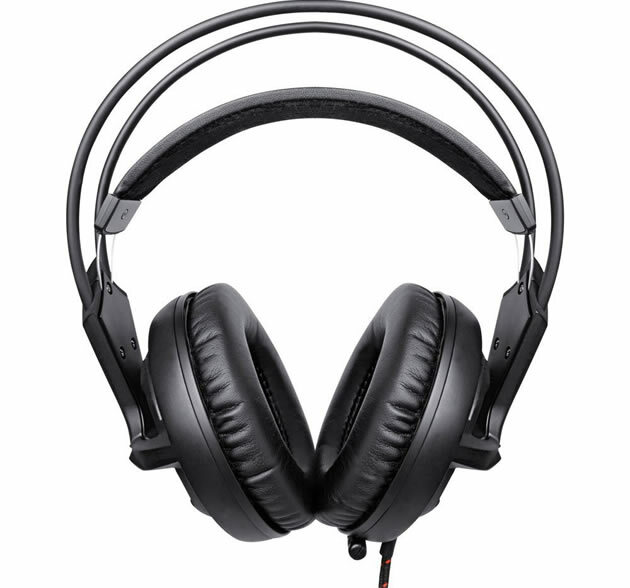 The headset is light and solid; sturdy yet flexible. The earcups have a comfortable circumaural design and are built of leather covered noise reducing foam. The head rest is supported by automatically adjusting wires that flex and retract with your head. For my round head, they fit like a glove right out of the box. I have heard of some complaints that not all head shapes fit as well, but everyone I had try these out all responded that they are one of, if not the most comfortable headphones they had ever worn. 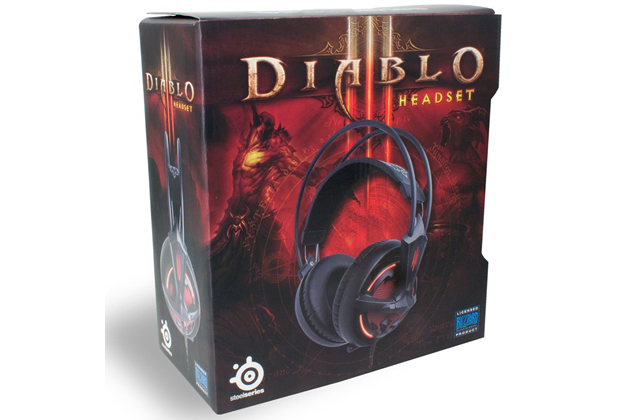 The Diablo III Headset features a retractable snake-style microphone that extends and retracts into the left earpiece. I personally would prefer a detachable mic for the sturdiness and to preserve the symmetry of the silhouette, but there is really no argument against the fool-proof convenience of the SteelSeries retractable design. The cord length is 3′ but an additional 6.5′ extension is included. The cord is nylon wrapped and twisted so tangling is basically not an option. There is also a volume control and mute slider on the initial length of cord giving you full volume control without ever looking away from the screen. The connection interface is USB, meaning you won’t be able to natively use these for portable audio devices or consoles, but you will get the convenience of a single cable and plug for audio input and outbound. 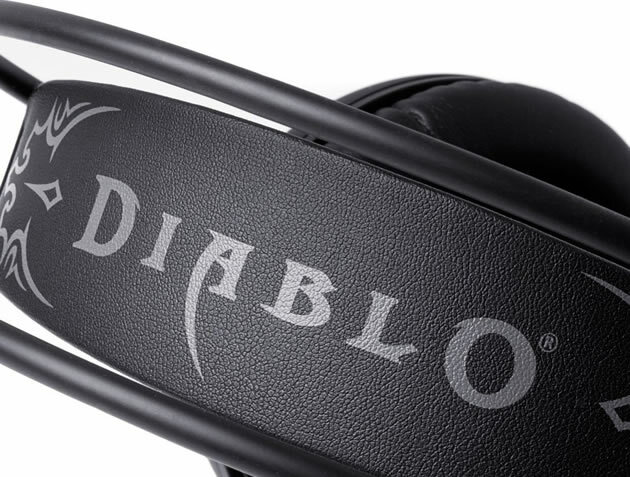 The Diablo III Headset may be a licensed accessory, but SteelSeries does not compromise on sound. Packed with 50mm speaker driver units, the sound is incredible. I tested these with various music and video, and of course Diablo III, and everything from soft subtle sound effects to bass-heavy tracks come through with fantastic clarity and richness. The SteelSeries software allows profiles to be created with custom equalizer settings across eight distinct properties. Users can easily switch between different settings profiles for different types of games and whatever other entertainment you choose. 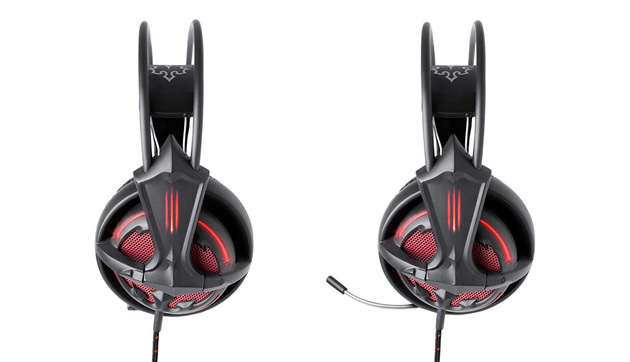 These headphones simply scream Diablo III. The licensed design is integrated effortlessly with a Diablo textual logo across the head rest piece and a scratched III across both side arms. 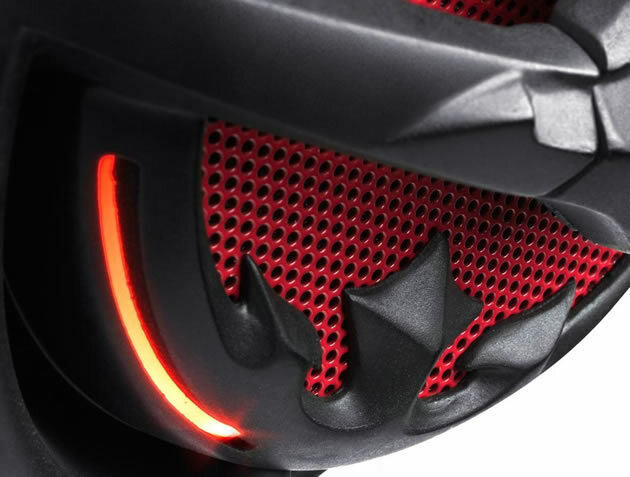 The earcups are fitted with 18 red LEDs and feature four pulsation options. The default setting is to pulse with the sound output, which adds a bit of fun to a dark room when playing Diablo III. The finish on the headset is a nice matte black to help reduce greasy fingerprints and keep the design looking clean and neat. Value is a question of many things, but the way I see it is simple. 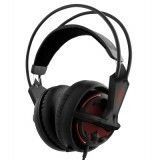 “Are these headphones worth the price of admission?” Considering the license and popularity, and the fact that these are in fact the best Diablo themed headphones I have ever used, I would say they are definitely a strong contender at their price point. I would feel a lot better if they were at the $99 mark, but at $119 they are not unreasonable.